Although in Ibiza we have a Mediterranean climate with mild temperatures and fairly seasonal rains throughout the year, the arrival of autumn is noticeable. With the descent of the thermometers we feel homier and we like to eat hot dishes but that is not an excuse for not going on vacation in winter! 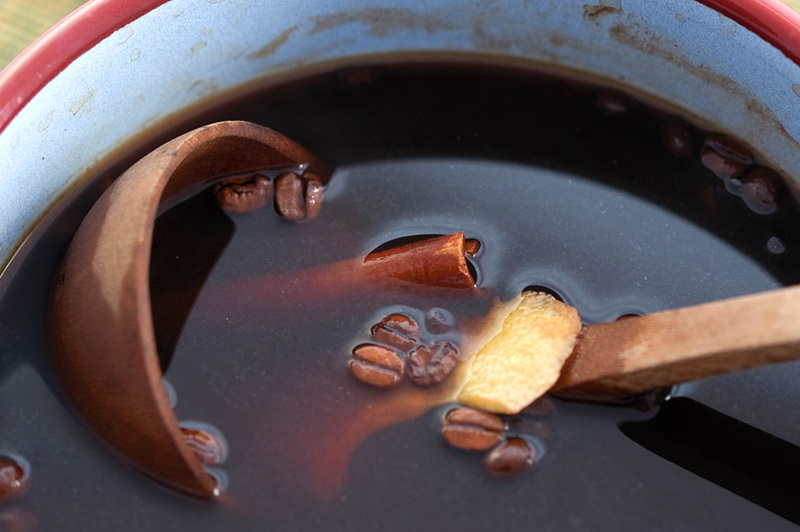 To get warm, we would like to present you a very traditional Ibiza recipe of coffee: the "café Caleta". There are different legends that tell how the recipe for this magic potion was created or how it was born. Some say that they were two fishermen from Ibiza who lived in Sa Caleta, who were sent to Coruña to do the military service and from the queimada they were inspired and imported the recipe. Others say he was born to smugglers, who sipped brandy while they waited for coffee smuggling. You can enjoy this delicious caffeine drink in some of the most mythical restaurants on the island, as well as in many of the popular festivals that take place in our villages throughout the winter. Preparation: Place a clay pot with the brandy, the lemon peel, the cinnamon stick and the grains of Cafés Ibiza. Light the brandy, add the sugar and stir slowly until the alcohol evaporates. Serve very hot in a glass cup accompanied by lemon peel. Do not think it twice and enjoy Ibiza also in winter: rest, relax, take hiking tours, go cycling through the woods, have a glass of wine looking at the sea,... And this time, do not forget to order a café Caleta We are waiting for you in Hotel Puchet, make your reservation through our website www.hotelpuchet.com or send us an email to Info@smturistic.com.